With statehood evading them – mostly due to their own intransigence – the Palestinians are continuing their efforts to hijack Israel’s and the Jewish people’s national history and treasures in a failed and misguided bid to advance their cause. According to Shimon Samuels of the Simon Wiesenthal Center, the Palestinians are likely to use a meeting of UNESCO this summer to claim that the archeological site of Qumran and the Dead Sea Scrolls found there decades ago actually belong to them. The Palestinians apparently have a list of 13 sites they want to register under “Palestine” at UNESCO and have already had some success. The World Heritage Committee ascribed to “Palestine” Bethlehem’s Church of the Nativity in 2012; the agricultural terraces of Battir, site of the ancient Jewish fortress at Betar, in 2014; and Hebron’s Tomb of the Patriarchs in 2017. And there was of course, UNESCO’s infamous resolution last year that ignored any Jewish connection to the Temple Mount and the Western Wall. This all comes as another UN agency – the Human Rights Council – is considering a resolution to ban the sale of arms to Israel. As expected, the draft resolution was sponsored by members that are real beacons of peace and human rights – Bangladesh, Bolivia, Chile, Cuba, Ecuador, Jordan, Pakistan, Venezuela and the Palestinian Authority. The sad fact that UN institutions are biased against Israel is well-known and is nothing new. This is a shame on the UN and many of its members. What the Palestinians are now doing – trying to steal the Jewish people’s national history – is something completely different that should make any self-respecting government question whether Mahmoud Abbas really is a proponent of peace as he claims. In the same speech, he said Israel was hooking Palestinian youth on drugs, that Zionism is an imperialist plot cooked up by Oliver Cromwell and that the Oslo Accords between the PLO and Israel are dead. Taken together, these two speeches make abundantly clear that Abbas has no interest whatsoever in any accord with Israel. Indeed, they show that Abbas remains the same antisemitic terrorist he was when he wrote his PhD dissertation and a bestselling book both proclaiming the Holocaust was a Zionist plot. But unfortunately with everything having to do with Abbas, Saul Bellow’s famous quip, “A great deal of intelligence can be invested in ignorance when the need for illusion is deep,” seems to obtain at the White House. Trump’s chief negotiator Jason Greenblatt’s response to Abbas’s diatribe was a textbook case of willful ignorance. “The time has come for President Abbas to choose between hateful rhetoric and concrete and practical efforts to improve the quality of life of his people, and lead them to peace and prosperity. Greenblatt’s statement demonstrated that the Trump administration will not walk away from the conceptual framework the Clinton administration adopted in 1993. That framework places the PLO – and Israeli concessions to the PLO – at the center of US policy in the Middle East. By saying that the US will present its plan “when circumstances are right,” Greenblatt said that there is no US ultimatum to the PLO. If Abbas doesn’t want a deal, they will wait him out and offer it to his successor, or his successor’s successor. The Taylor Force Act was signed into law on Mar. 23, as it was included in the $1.3 trillion spending bill to fund the government. President Trump officially signed the spending bill in a signing ceremony, stating that while he had multiple reservations about the overall bill, it needed to be signed for the defense spending. “The powerful message from the Force family, along with effort from the pro-Israel community led by Sander Gerber, have made this possible,” Graham said. The Taylor Force Act, named after the United States veteran who was murdered by a Palestinian terrorist in March 2016, ends funding to the Palestinian Authority (PA) until they stop providing financial incentives for Palestinian to commit acts of terror against Jews. The Bolton Doctrine, if you will, has three cornerstones, and it is worth exploring each of them to understand the man who will have an outsized say in the conduct of U.S. foreign policy in the coming months and years. First, he is a Hobbesian. Bolton’s public career, and his writings in COMMENTARY and the editorial pages of The Wall Street Journal, make it clear that he sees the life of nations as nasty and brutish (and sometimes tragically short). Bolton doesn’t subscribe to the alternative, Kantian vision, according to which the expansion of law’s dominion is supposed to render war obsolete. John Kerry would disdainfully describe Bolton as a “19th-century” mind, but the new national security adviser might well take that as a compliment. After all, our geopolitics today in many ways resemble the era of great-power rivalry and competing spheres of influence. believe they can now be liberated for all time from transnational conflict . 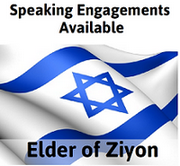 . . From the European perspective, threats to international comity come not from external hostile forces—for them, such forces barely exist—but rather from seemingly friendly quarters, like the United States and Israel. They believe they are endangered by those nations that have decided (so far) that they cannot afford to fall prey to the false dream of extricating themselves from the world’s dangers by remaining in slumber or going prone in the wake of attack. That essay was written in 2009. Readers can decide which vision—the Boltonian/Hobbesian one or the European/Kantian—was vindicated by events of the subsequent decade. President Donald Trump’s decision to appoint former UN Ambassador John Bolton to serve as his National Security Advisor is arguably the most significant single step he has taken to date toward implementing his America First foreign policy since taking office. The news hit America’s enemies and competitors — from Pyongyang to Teheran to Moscow to Beijing — like a wall of bricks Thursday night. Early criticisms on the political right of Bolton’s appointment have centered on two points. First, it is argued that Bolton, who has been involved in U.S. foreign policymaking since the Reagan administration, is a creature of the Washington foreign policy swamp. While it is true that Bolton is from Washington – or Baltimore, to be precise – and although it is true that he held senior foreign policy positions in both Bush administrations, he has always been a thorn in the side of the establishment rather than a member of that establishment. For the better part of three decades, Bolton has bravely held positions that fly in the face of the establishment’s innate preference for appeasement. He was a vocal critic, for example, of then-President Bill Clinton’s disastrous nuclear diplomacy with North Korea. The 1994 “Agreed Framework” that Clinton concluded with Pyongyang was touted as a peaceful resolution of the nuclear crisis with North Korea. In exchange for shuttering – but not destroying — its nuclear installations, North Korea received light water reactors from the U.S. and massive economic relief. As Bolton warned it would, North Korea pocketed the concessions and gifts and continued to develop its nuclear weapons. In other words, far from preventing North Korea from developing nuclear weapons, the Agreed Framework preserved the North Korean nuclear program and enabled the regime to develop it effectively with U.S. assistance. For his warnings, Bolton has been reviled as a “warmonger” and a “superhawk” by the foreign policy elite, which has gone out if its way to undercut him. If you want to get a sense of just how the next national security adviser, John Bolton, fits into Washington's foreign policy ecosystem, consider his lobbying last year against the Iran nuclear deal. The details here tell us a lot about how President Donald Trump's next national security adviser understands America's place in the world. Trump of course campaigned against the deal and publicly bemoaned the fact that he was required to keep certifying Iran's compliance with it. But a hasty exit from it carried its own risks. Could America effectively impose secondary sanctions on foreign banks and companies without cooperation at least from allies? The White House risked embarrassment since the intelligence community had determined Iran remained in compliance. So eventually Trump settled on the current U.S. strategy: threaten to walk away unless America's European allies agree to address its weaknesses, namely its sunsets, Iran's missile programs and the weak inspection regime. Even that strategy did not go over well inside the Washington establishment, or for that matter with Trump's former secretary of state, Rex Tillerson. The argument was that the deal was working, so why rock the boat? Not everyone agreed. Bolton wanted to rock the boat. Trump announced over the weekend that Bolton would replace H.R. McMaster as the president continues making changes at the White House. Bolton’s dismissal of the diplomatic construct has a long history. In 2014, in the conservative Washington Times, Bolton seemed to question the very notion of “Palestine” and suggested the territories its people occupy be handed off to Egypt and Jordan. But White House officials tell The Jerusalem Post that the selection of Bolton does not speak to any change in the president’s position, in support of a comprehensive resolution to the conflict. Israel on Saturday slammed the UN Human Rights Council as a “sham” after it passed five new anti-Israel resolutions, saying the body was being used by “bloodthirsty dictatorships” to mask their own abuses. The council “is a sham, a mockery of the noble purposes it pretends to represent,” tweeted Foreign Ministry spokesperson Emmanuel Nachshon. “It is an exclusively anti #Israel platform, manipulated by bloodthirsty dictatorships hiding their own massive human rights violations by attacking Israel,” he wrote. Nachshon’s comments come after the United States warned Friday that it was losing patience and again threatened to quit the council after the Geneva-based body adopted five resolutions condemning Israel, one of which called on Israel to relinquish the Golan Heights strategic ridge to war-torn Syria. The United States and Australia voted against all five resolutions. On UNHRC resolution condemning Israel over 2009 (!) 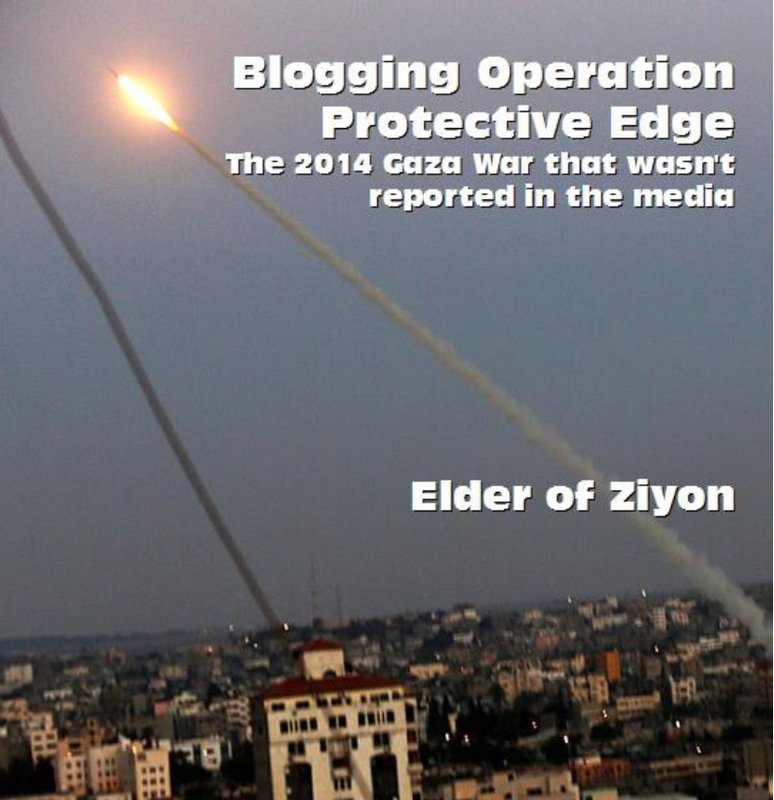 discredited Goldstone Report, #Belgium #Slovenia #Switzerland join the jackals. U.S. Senator Ted Cruz (R-TX) on Friday blasted the leadership of the Palestinian Authority (PA) over its continued insults of U.S. Ambassador to Israel David Friedman. “The Palestinians continue to slander Ambassador David Friedman, who instead deserves tremendous praise for honorably representing the U.S.,” tweeted Cruz. “If the PA is looking for incitement and glorification of violence, they need only look in a mirror. They pay $400 million in monthly salaries/benefits to terrorists & their families to incentivize/reward terrorism against Israel,” he added. Earlier this week, PA chairman Mahmoud Abbas insulted Friedman and called him the “son of a dog”. "The United States legitimizes settlements. That's what American officials do, and at their head, in Tel Aviv, is David Friedman. He said, 'They're building on their own land.' The son of a dog, they're building on their own land? He himself is a settler, and his entire family are settlers," said Abbas who spoke in Ramallah. The PA did not stop there, however, and is now calling for the American ambassador to Israel to be placed on an international terror watch list. The United Nations Human Rights Council called on the international community to halt arms sales to Israel as it wrapped up its month-long 37th session in Geneva. By a 27 to 4 vote, with 15 abstentions, the UNHRC called upon “all states to promote compliance under international law” with regard to Israeli actions. Support for a resolution that called on Israel to withdraw from the Golan Heights was similarly low. It passed by 25 votes to 7 and 14 abstentions. A resolution on Palestinian self-determination calling for an Israeli withdrawal to the pre-1967 lines as well as one that called on Israel to halt settlement activity and another that condemned it for human rights abuses against the Palestinians were also approved. Australia, which only joined the council as a member this year, stood with the US in opposing all the resolutions. Both countries, as well as the United Kingdom, all spoke against UNHRC bias against Israel. The three states called for the abolition of the UNHRC mandate that Israeli human rights abuses must be debated at every session under Agenda Item 7. The UN peacekeeping force in southern Lebanon “must do more” to thwart Hezbollah’s armament efforts, a top Israeli diplomat told The Algemeiner on Thursday. “Israel will always do all that it is necessary to protects the safety of its citizens, but for sake of tranquility in southern Lebanon, the UN Security Council must ensure that UNIFIL fully fulfill its mandate,” Danon declared. Israel’s Ambassador to the United Nations Danny Danon reacted on Thursday to a request by the United Nations for compensation from the State of Israel for damage to UN schools in Gaza during Operation Protective Edge in 2014. "Israel will do all that is necessary to defend our citizens and to eliminate any threat to the security of our country,” said Ambassador Danon. “Instead of lodging complaints with Israel, the UN should demand compensation from Hamas which exploits humanitarian facilities and uses them to attack innocent Israelis, while putting the people of Gaza in harm’s way. The UN should conduct an internal review and assess how, time and again, its facilities are taken advantage of by terrorist organizations,” he added. During the 2014 counterterrorism Operation Protective Edge, Hamas rockets were discovered inside a school building run by UNRWA, the UN agency for “Palestinian refugees”. In September, a Hamas terrorist tunnel was discovered underneath an UNRWA school in Gaza. Palestinian Arabs demonstrated in Ramallah on Thursday, demanding the closure of the America House which, is operated by the U.S. consulate in eastern Jerusalem and located in the city of Ramallah. The role of the America House, which is established in 2010, is to disseminate American culture. The protesters demanded the removal of American workers and the closure of their offices, in protest of the Trump administration's recognition of Jerusalem as the capital of the State of Israel and its intention to move the U.S. embassy from Tel Aviv to Jerusalem by mid-May, in time for Israel’s 70th Independence Day. Issam Abu Bakr, coordinator of the activities of the National and Islamic Forces which organized the demonstration, told the Turkish news agency Anadolu that "we will continue to persecute the American institutions in Palestine demanding that they be removed from the land of the State of Palestine." The National and Islamic Forces are the supreme coordinating body of the Palestinian organizations. Among its members are Fatah, the Hamas and the Islamic Jihad. The PLO excoriated Congress on Friday for passing the Taylor Force Act, a law that threatens to freeze State Department funds to the Palestinian Authority unless it ends its longstanding practice of compensating terrorists and the families of terrorists convicted in Israeli courts. The PLO envoy to Washington, Husam Zomlot, dismissed the effort as politically motivated. The pressure “does not work, and severely damages the prospects for peace in the Middle East,” he said. The Taylor Force Act, named after a US Army veteran murdered by a Palestinian in Jaffa in 2016, was signed into law on Friday by President Donald Trump, as part of an omnibus spending package passed by Congress the previous day. The bill, Zomlot said, “punishes” the PA, “which is the only agency committed to peace and nonviolence, and undermines the American-Palestinian bilateral relationship and decades of US investments in the two-state solution. Egyptian authorities announced on Thursday night that the Rafah crossing between Egypt and Gaza would be opened in both directions for two days, starting Friday, according to Egypt Today. During this time period humanitarian cases will be permitted passage, the report said. Egyptian authorities have kept the Rafah crossing virtually sealed since a terrorist attack in the Sinai Peninsula in October 2014, though they have temporarily reopened the crossing several times since that attack, mostly for the passage of humanitarian cases. In February, Egyptian authorities abruptly closed the border crossing just hours after opening it, for unknown reasons. The crossing was supposed to reopen for three days soon after a Fatah-Hamas reconciliation deal was reached in October, but Egypt cancelled the opening following an Islamic State (ISIS) attack in northern Sinai which claimed the lives of six Egyptian soldiers. France’s top security official said Saturday that a heroic officer who swapped himself for a hostage during an attack on a supermarket has died of his injuries. Beltrame offered himself up unarmed to the 25-year-old attacker in exchange for a female hostage. He managed to surreptitiously leave his cellphone on so that police outside could hear what was going on inside the supermarket. Officials said once they heard shots inside the market they decided to storm it, killing the gunman. Beltrame was grievously injured, and his death raises the toll from the attack to four. The Islamic State group claimed responsibility for the attack, the deadliest since Emmanuel Macron became president last May. The assailant, identified as 25-year-old Radouane Lakdim, had earlier killed three people and wounded five others in France’s first major jihadist attack since October. “Our country has suffered an Islamist terrorist attack,” President Emmanuel Macron said in a televised address following the rampage in the medieval town of Carcassonne and nearby Trebes. He also paid tribute to Beltrame. “He saved lives and honoured his colleagues and his country,” he said. 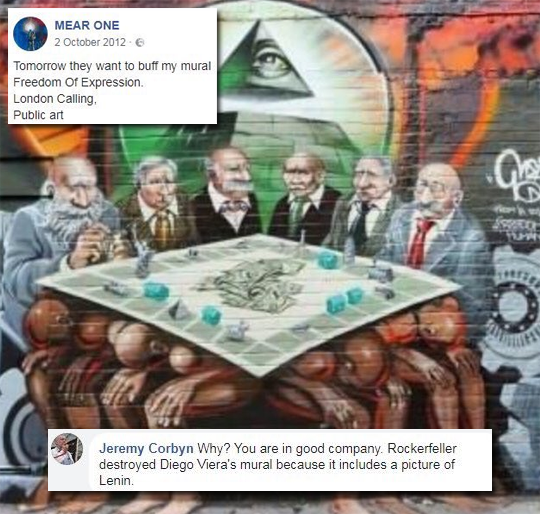 Labour MP Luciana Berger has contacted the Leader’s Office asking them to explain this Facebook comment purporting to show Jeremy Corbyn defending an anti-Semitic mural. The comment was reported by the JC a couple of years ago, but it appears his office again declined to comment. At the time of going to pixel Luciana still hasn’t had an answer. Surely Jezza can’t really have written that? The word liar is overused in politics. Politicians rarely lie, if for no other reason than the risk of being caught out. But sometimes it is the only appropriate word – when a politician is guilty of a deliberate attempt at distorting the truth willfully and shamelessly. That time is now, and the politician is Jeremy Corbyn. In November 2015, the JC reported that back in 2012, Jeremy Corbyn had defended the existence of a mural which had been widely condemned as being antisemitic. The work, Freedom for Humanity, was painted near Brick Lane in London’s East End by “graffiti artist” Kalen Ockerman, who goes by the name of Mear One. Anyone with even a basic knowledge of politics, history and the world would see that the work was caricaturing Jews. And, to be blunt, anyone denying that is indulging in sophistry of the most pathetically unconvincing kind. Corbyn admitted supporting Eisen’s Deir Yassen Remembered group. Many mainstream Palestinians view the group as anti-Semitic and riddled with Holocaust deniers. The group included Gill Kaffash, a former Labour councillor and associate of Corbyn for many years. She once told an Iranian news agency that the Holocaust needed to be “further examined to uncover the truth”. Corbyn said he couldn’t remember if he had donated money to Eisen and Kaffash’s campaign. Eisen said he did donate. This is Corbyn at a meeting held by the organisation in 2013. Corbyn was associated with the group for 10 years. In October 2014 Corbyn wrote an article for the Morning Star admitting he attended a wreath-laying ceremony at the grave of a Palestinian terrorist who carried out the Munich massacre. Corbyn wrote that wreaths were laid “on the graves of others killed by Mossad agents in Paris”. Atef Bseiso was the PLO head of intelligence and was one of the Palestinian terrorists who was involved in Munich. 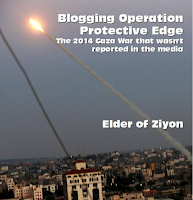 Bseiso was shot dead by Israeli agents in Paris. The Sunday Times sent a reporter to the graveyard of the “martyrs” that Corbyn visited. Bseiso is buried there. If a Labour councillor had done any of the above, they would be immediately suspended by the party’s compliance unit. As of 1pm on Saturday all Labour moderates have done in response to the Corbyn mural revelations is send a few critical tweets. If they won’t do anything now, what would it take for them to ever act? Students at Trinity College Dublin voted this week to endorse the boycott, divestment, and sanctions (BDS) campaign against Israel. A referendum urging the Trinity College Dublin Students’ Union (TCDSU) to “adopt a long-term policy on Palestine and in support of” BDS passed on Thursday with 1,287 votes, representing over 60 percent of all 2,050 ballots cast — the minimum threshold for approval. Trinity Students for Justice in Palestine (SJP) called for the motion in February, after gathering some 1,200 signatures on a petition asking TCDSU to “comply with the principles of BDS” in all union operations, and to lobby the administration to adopt a “total boycott of the State of Israel.” The group also seeks to form a “BDS implementation group” to ensure the union’s compliance. Some peers who opposed the boycott launched a counter-campaign the week of the referendum, dubbed “Vote No, Vote Neutrality for Trinity.” Yet the effort faced significant challenges from the outset, said Eoin, a second year student at the school who asked to withhold his last name. “We found ourselves with a smaller support base to start with than the SJP group,” he told The Algemeiner, pointing out that Trinity does not have a pro-Israel organization, and that some members of the Jewish community were involved with the pro-BDS campaign. Just days after US President Donald Trump is scheduled to inaugurate America’s embassy to Israel in Jerusalem on May 14, a former president with a less than stellar record on supporting Israel will address commencement at Liberty University, America’s premier evangelical college. The speech by former US President Jimmy Carter to future evangelical leaders is noteworthy due to his controversial accusations that Israel is an apartheid state, coupled with a longstanding feud between Carter and the late Rev. Jerry Falwell Sr., Liberty University’s founder and first president. The school is now run by Falwell’s son, Rev. Jerry Falwell Jr.
Over the past several months, The Florida Jewish Journal has published six anti-Israel screeds by Irwin Shishko, a former Wall Street economist who regularly mischaracterizes important aspects of the Jewish state and its history. There's just one problem, but it's a big one: The U.S. declared war on Germany on April 6, 1917. The British issued the Balfour Declaration several months later, on November 2, 1917. Obviously, there is simply no way that the Balfour Declaration had any impact whatsoever on America's entrance into World War I, which was brought about largely as a result of growing hostility over Americans dying in German U-boat attacks. This is the type of misinformation that The Florida Jewish Journal has been broadcasting to its readers since August of 2017 when it began publishing Shisko's writing. Television host and actor Mario Lopez toured Israel this week and stopped by the Western Wall in Jerusalem. A photo of the “Extra” host at the holy site was posted on Instagram by America’s Voices In Israel, which organizes week-long missions to the Jewish state for Hollywood stars and other well-known figures. Lopez arrived in Israel on Sunday with his Jewish manager, Mark Schulman, and another friend. His itinerary included a visit to the Sea of Galilee, and he was baptized in the Jordan River. Simon Slama and his family are the only Jews left in the Tunisian city of Monastir, once home to a thriving Jewish community. But instead of joining the exodus, he is running for office — as a candidate of Tunisia’s Islamist party. Slama’s candidacy with the Ennahdha party in May municipal elections is causing a sensation in this overwhelmingly Muslim country, and some controversy. Critics see it as a calculated tactic by Ennahdha to regain power and to restore its reputation among Western allies like the United States. Others however see it as an example of Tunisia’s long-standing traditions of tolerance. A sewing machine salesman and repairman, 56-year-old Slama says he just wants to serve his country and the city where he was born, suffering from economic difficulties and social tensions. “I chose Ennahdha because I found that because of the crisis the country is going through, everyone is turning toward this party,” he told The Associated Press in his workshop.